First of all to check that the wine is in good condition. Cork smell and oxidation are the most common faults found in wines. Secondly, to make sure that you like the style of the wine. If the wine was recommended to you, this is your chance to say if you do not like it or to thank the wine waiter for the recommendation :-). Knowing when a wine is faulty can be easily taught and this is something I am really happy to explain to people while doing a wine tasting (I usually try to have couple of faulty bottles with me to give real examples). 4. When it comes to white wines, Sauvignon Blanc and Pinot Grigio seem to be by far the favourite grape varieties in Ireland. So let’s take a look at what these varieties offer and why they are so popular. Sauvignon Blanc grows pretty much in every corner of the globe. It is a style that everybody who drinks wine with any regularity is certainly familiar with and almost surely has tasted. Depending on the climate where it is grown, the aromatic profile of this grape varies from light citrus, green flavours (green bell pepper, grass etc..) to ripe exotic fruits (passion fruits, mango etc..) and “richer” green flavours such as asparagus. Its fruity, crisp and lively characters make it a very likeable and universal style. The wine is often drank in its youthful stages so as to show off its vibrant, bright fruity personality. 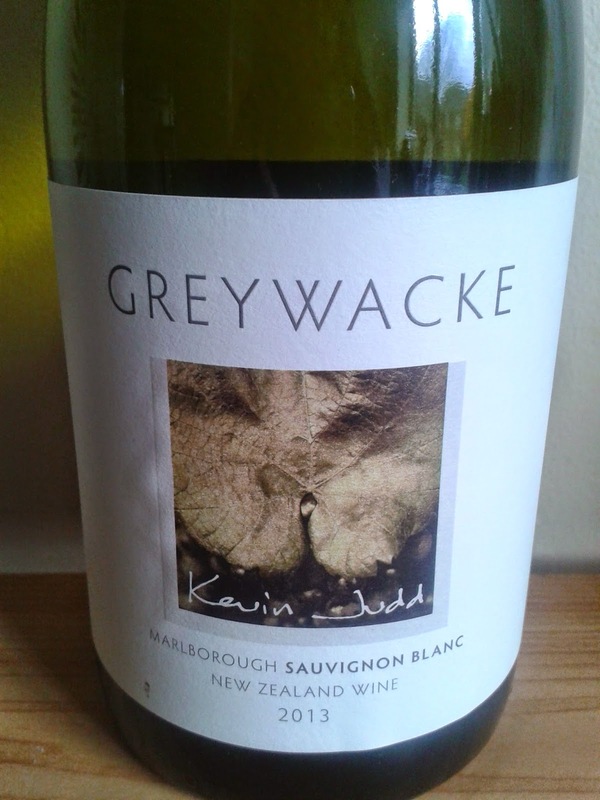 The 3 most popular regions producing Sauvignon Blanc for the Irish market are New Zealand, Chile and France. They each offer different styles and of course price points for the consumer. (sub €10) and rarely expensive (over €25). Chile has seen an immense success on the Irish Market in recent years. The style is often simple, fruity, crisp and the better examples come from the cooler areas of Chile such as Casablanca or Leyda. Their prices are generally very attractive and most of the choice can be found in the €7-€14 price range. Finally, French Sauvignon Blanc is certainly more varied than its two New World competitors. These variations come in the form of style and of course price range. The French produce everything from simple light wines to much more complex examples of the grape. However, it can be a little more confusing for the consumers as traditionally, the French do not advertise the grape varieties on their labels. Many of you will have heard of Sancerre and Pouilly Fume. Both of these wines are made with 100% Sauvignon Blanc, however none of them stipulate this on their labels. So why are the grape varieties not advertised on the label in France? For obscure reasons, most of the AOC wines are not allowed to mention the grape varieties on their front label (the French never like making things easy and straightforward ! 😉 ). Nowadays it is certainly posing some marketing issues as wine has become global. In many cases, it is much more comforting for a consumer to buy a bottle of wine outlining the grape variety than spending 10 minutes on a smartphone in an attempt to find out what is in the bottle! However, many French wine producers have understood that if they want to sell their wines they have to make their packaging more consumer friendly. It is now more and more common to find all the information you require on the back label. So don’t be afraid to turn the bottle around! Pinot Grigio has become a real love affair. Light, crisp, floral, fruity, relatively low in alcohol and most importantly very easy to drink. Chilled, it is perfect for a barbecue on a sunny day or on a girls night out. Pinot grigio is the Italian name given to the French equivalent Pinot Gris. However, few of us will have tasted a Pinot Gris while most of us will have tried Pinot Grigio at least once. Pinot Grigio, in the last few years, has almost become a “branding success” and sadly, a part of the production found on the market is at industrial scale, leaving the consumer with a glass of diluted, low quality wine. However, there are still some reliable producers and some very good examples available. One of the region of Italy really striving for quality when it comes to Pinot Grigio is Alto Adige in the very North. The wines often have a dimension and a mineral edge that make them that bit more special! The majority of Pinot Grigio is in the €9-€15 bracket but as mentioned, some of the more aspirational producers can be closer to the €20+ mark. Pinot Gris is mainly found in Alsace, in France. The wines are of a very different style : generally quite aromatic (rose, spices, honey), rich and generous textures on the palate. The styles vary from dry to luscious and are wonderful pairings with the local cuisine. The dry versions are a classic with the famous French frogs legs. Pinot Gris in France will probably cost you from €15 and the prices can really soar after that. Another wine producing country worth mentioning when it comes to Pinot Gris is Germany. The style found is somehow a good compromise between the two styles described above and some of the “Grauburgunder” can be absolutely delicious ! Once again if you are thinking of tasting these wines for the first time, ask you local wine shop for advice to be sure that you are tasting a good example. Grauburgunder will also probably cost you from €15 but may very well provide you with a good chance to be successful while trying something new and unusual.